Internal records from the ICRC’s archives concerning the conflicts of the 1960s and 1970s shed light on a decisive era for humanitarian action. In a small room in the basement of ICRC headquarters in Geneva, Switzerland, historian Andrew Thompson methodically pours through folders full of documents — typewritten mission reports, confidential telegrams and hand-written letters — never before seen by people outside the ICRC. 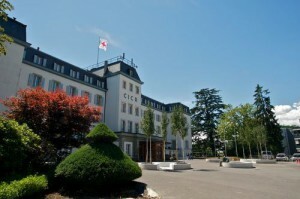 The ‘candy shop’ in this case is the ICRC archives, where Thompson is exploring 40- to 50-year-old records to be released to the public in January 2015 under the ICRC’s policy of making internal documents public in blocks of ten years once 40 years have passed since the events they describe. Aside from exciting Thompson’s intellectual curiosity, these records offer a deeper understanding of conflicts going on between 1965 and 1975. 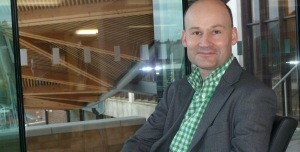 In particular, they give insight into an area of great interest to Thompson, who took an early look at the records in order to pursue research on the evolution of international humanitarian law and human rights law as they pertain to the treatment of political detainees in non-international conflicts. The archives are a treasure trove for historians as they contain first-hand accounts from delegates on the ground, as well as internal and external correspondence, for every major conflict during the period in question. According to Thompson, they offer a perspective not always found in diplomatic or military archives because in addition to political analysis, they show how conflict affects the lives of ordinary people on the ground. In this case, the records offer considerable insight into the Biafran war in Nigeria, a watershed moment for the humanitarian sector, as well as the conflict between Israel and its Arab neighbours, the United States war in Viet Nam, the civil war in Yemen and the struggle against apartheid in South Africa, among many others. They also show how important principles and precedents in the implementation of international humanitarian law and human rights law evolved in the post-Second World War and Cold War eras, as many colonies engaged in wars of independence and the stalemate between global superpowers resulted in a proliferation of proxy wars around the world. One area of particular interest to Thompson is how the ICRC’s experiences in places such as South Africa and Yemen (including what was until 1967 the British-controlled State of Aden) helped shape the way human rights and humanitarian groups responded to political detainees. Among the records are first-hand accounts of then-ICRC delegate André Rochat making his first visit to wary and sceptical political detainees in Yemeni prisons. There is also the very matter-of-fact description of a delegate’s interview in 1967 with a political detainee in South Africa named Nelson Mandela who, along with 30 other detainees, was working in a limestone quarry on Robben Island, one of the more notorious prisons operated by South Africa’s then apartheid government. The ICRC began visiting ‘security convicted prisoners’ in South Africa in 1963. After that, the ICRC regularly met Mandela on Robben Island and later in Polsmoor prison, until his liberation in February 1990. Mandela mentions these visits in his biography A Long Walk to Freedom. Not all the records, however, have been completely sealed until now. Researchers can ask for permission to review unreleased portions of ICRC archives for particular research projects and those involved in events described in the records can ask to look over relevant files. But the records are not just interesting to historians. They are also a resource for the Movement, as they contain considerable information about National Society actions, and for anyone who might want to appraise humanitarian action and its impact. “The archives ensure the organization’s ability to take stock of the actions called for by its mandate,” says Jean-Luc Blondel, head of the ICRC archives. “They play an important role in the duty of an organization to be transparent. As part of this duty and in order to benefit from outside perspectives and approaches, the ICRC encourages research and independent critique of its history and the fulfilment of its mandate,” Blondel adds. “Such an attitude doesn’t come without risks,” he notes. “The examination of dossiers can put into evidence the mistakes in negotiation, the misuse of language or a lack of diplomacy.” In some cases, it reveals certain prevailing cultural attitudes of the time — a lack of cultural sensitivity and even racist undertones in the way some people expressed themselves, Blondel notes. Nonetheless, the illumination offered by the past, Blondel suggests, also allows a better understanding of the roots of conflicts and a potential insight into how to facilitate resolution to conflicts or at least engage parties in a positive dynamic towards that end. The Movement also recognizes the importance of the memories contained in these archives, one reason the Council of Delegates in 2011 adopted a resolution that calls for the preservation of its historic and cultural heritage. This issue will be revisited during the Council of Delegates in 2015. This entry was posted in Actualités / News, Articles, Journals and tagged ICRC, International Humanitarian Law, Peace and Conflict Studies by Fabian Klose. Bookmark the permalink.